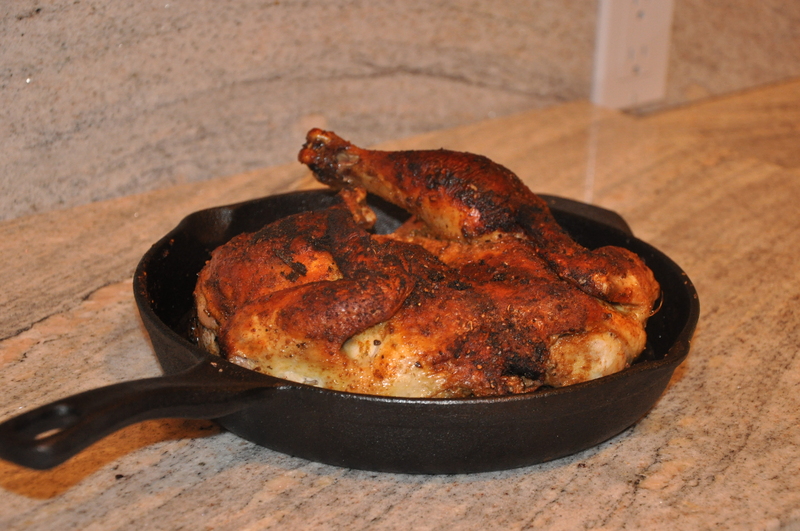 This flattened cast iron chicken is one of my favorite staples, it can be modified in so many ways with different spices and takes much less time than a traditional roasted chicken. I’ve had a couple of people as for my method recently so I’m going to do a quick post with instructions and come back later with more pictures. If you try this out I’d love to know how it turned out!! !